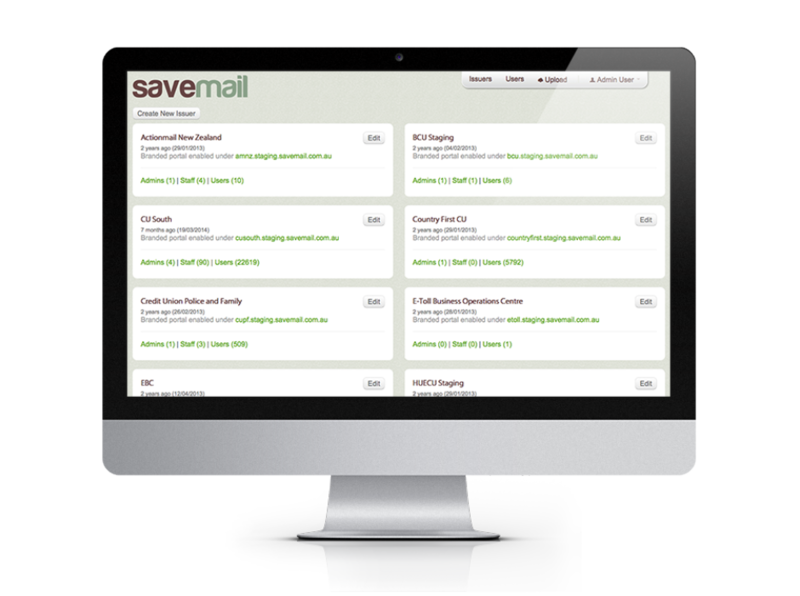 SaveMail is an online repository for the storage, archiving and retrieval of essential customer communications. With 24/7 availability anywhere in the world, it's the perfect solution for sending statements, invoices, bills, PIN mailers and many other types of essential mail. It's cost effective, seamless and secure, and makes your mail available to your customers from virtually any web-connected device. Your customers can register and login via your own branded SaveMail site or via SaveMail's shared site. Simply choose the best method for your business. 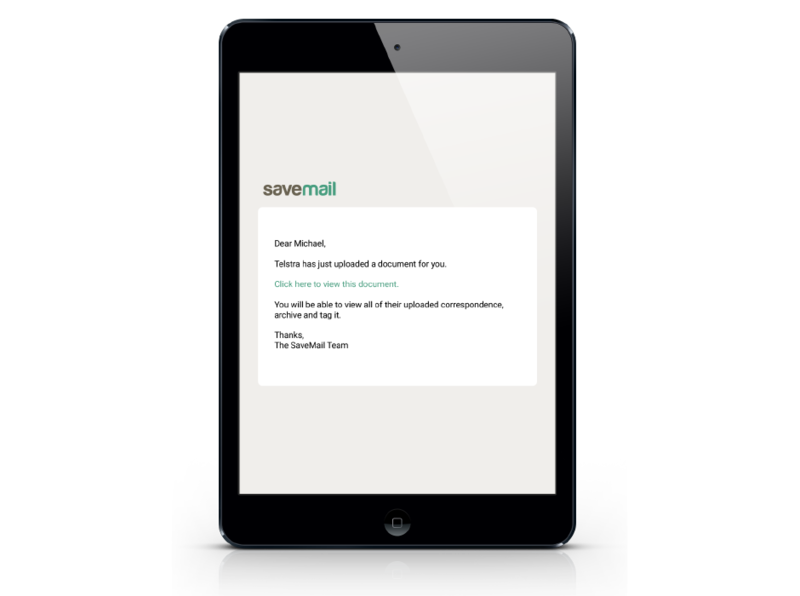 SaveMail makes it incredibly simple to upload indexed PDFs into the secure repository, making documents available in a matter of hours after processing. SaveMail documents can be loaded by your internal resource, or by your preferred mail-house or IT partners. SaveMail provides secure online access using SSL/TLS, and secure upload and download utilising bank grade encryption. 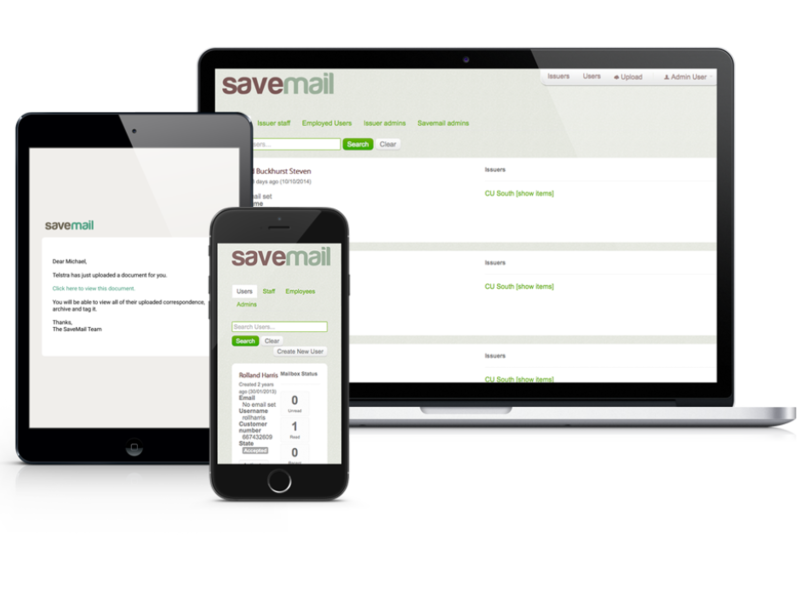 SaveMail is hosted at a facility that has the highest accredited security levels providing administration access for business owners, so staff can register new users and view full archives of their customer's statements. 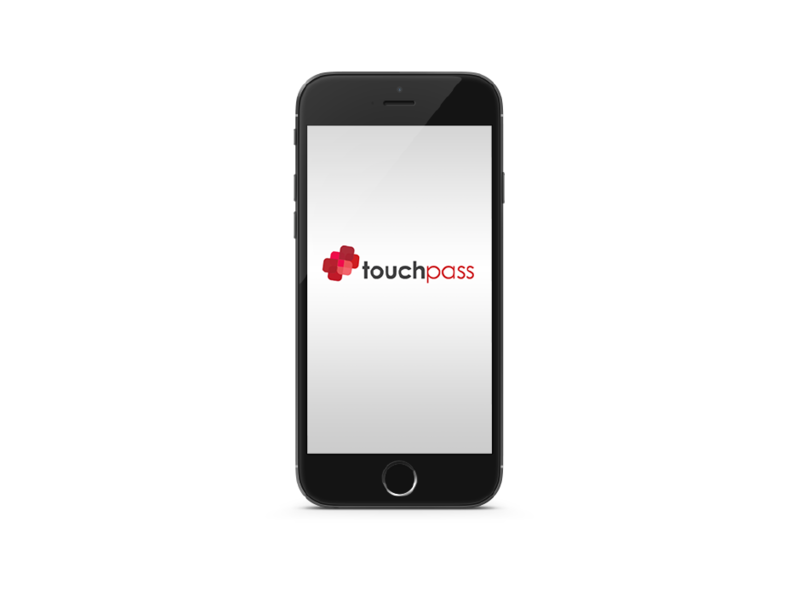 SaveMail makes use of Geodica's TouchPass second-factor authentication service to provide the best kind of transaction verification for businesses and customers. Your Customers receive a notification email every time a new document is uploaded to their private repository. When they log into SaveMail they will be able to view all of their uploaded correspondence, search, archive and tag it.